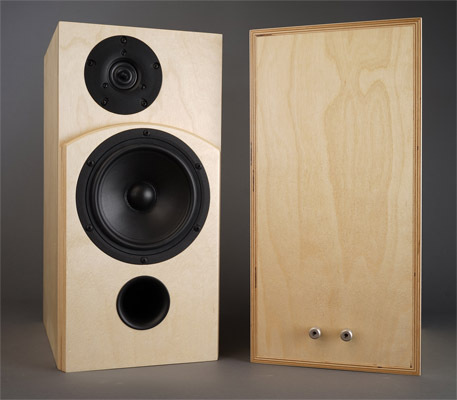 This speaker really started with a client bringing in a pair of Dali 310 speakers for upgrade. The Dalis had the venerable Vifa P17WJ-00-08 (maybe -00-06) polyprop midbass driver and a fabric dome tweeter protected by a grill. The crossover was tuned for near-wall placement, thus a somewhat forward upper midrange to compensate for the inevitable room-gain.